The NASA has recently found 10 new planet-candidates that are about the same size and temperature as Earth and are located in the habitable zone of their star. Recently, the Kepler mission team released a survey of 219 potential planets outside our solar system which had been detected by the space observatory. Ten of these planets were found to be orbiting their suns at a distance similar to our planet’s orbit around the sun, placing it in a habitable zone where there is potentially liquid water that can sustain life. The newly discovered planets fall into two distinct categories - smaller rocky planets that are about 75% bigger than Earth and much bigger gaseous planets close to the size of Neptune. To date, there are about 50 Earth-size planets that exist in habitable zones around the galaxy. 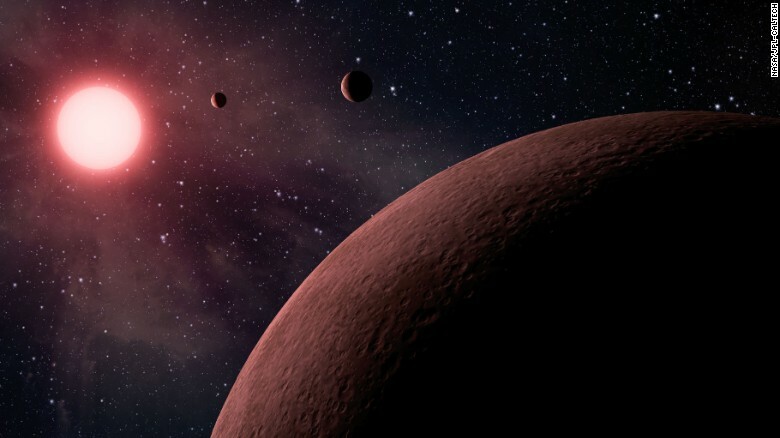 Around 4,043 have been discovered by the Kepler telescope as potential exoplanets of which 2,335 have been confirmed by other telescopes as actual planets. “Maybe Kepler today is telling us indirectly ... that we are not alone,” he added. The presence of planets are detected by the Kepler telescope by registering minuscule drops in a star’s brightness. This occurs when a planet crosses in front of it through a movement called transit. The results were then compiled from data gathered during the first four years of the mission. Scientists then processed these data to determine the composition and sizes of planets observed. "This carefully measured catalogue is the foundation for directly answering one of astronomy’s most compelling questions – how many planets like our Earth are in the galaxy?” Kepler research scientist and study lead author Susan Thompson said.